In this investigative tour de force, now available in a new format edition, Victor I. Stoichita untangles the history of one of the most enduring technical and symbolic challenges to confront Western artists: the depiction and meanings of shadows. 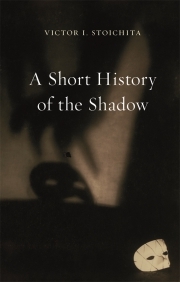 Stoichita’s compelling account of the shadow and Western art draws on texts by Renaissance artist-authors such as Vasari and Cennini, folk and fairy tales, classical myths, works by van Eyck, Poussin, Malevich, De Chirico, Picasso and other masters, German Expressionist cinema, photography and child psychology. It is a wholly original investigation of a subject that for centuries has challenged the very meaning of art as representation.